The Luftmed Deluxe 600 combines high standard engine perfomance, an effective filtration system and innovative ion technology to ensure best and most efficient cleaning perfomance in a very short time. 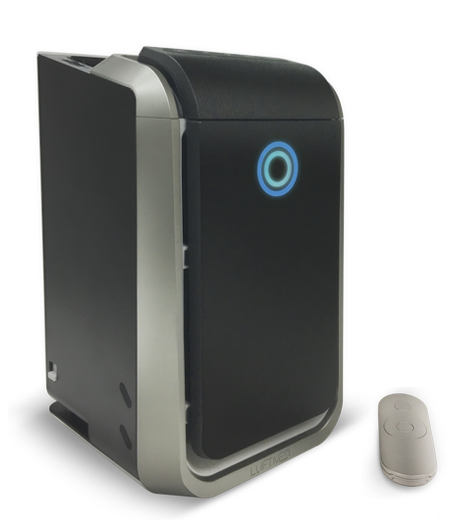 The air purifier has an effective Clean Air Delivery Rate (CADR), the international standard for the effectiveness of air purifiers, of more than 500m³/h. A complete air purification cycle is achieved in only 15 minutes in indoor rooms with a size of up to 60m² / 150m³. The cleaning performance also enables a high cleaning efficiency. 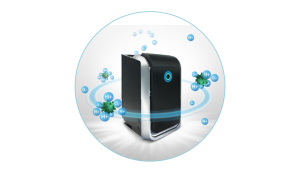 Pollutants of any kind (PM2.5, TVOC, viruses, formaldehyde) can be filtered and eliminated out of the indoor air with a separation efficiency of more than 99.95%. The Luftmed filter technology with an effective and multilayer compound filter system eliminates any pollutants and particles out of your indoor air and thus guarantees efficient air purification. The pre-filter screen absorbs large dust particles, human and animal hair from the air. It can be cleaned under running water. The macromolecule HEPA filter from polymer captures pollutants up to a size of 0.3 micrometer with a total efficiency of 99.95% from the air. These pollutants include fine dust and mites, pollen and allergens, mold spores, as well as micro-particles such as bacteria and viruses. The active carbon filter consists of open-pore, fine-grained coal balls with a large inner surface. The filter material absorbs any odors such as tobacco smoke, kitchen or pet odors. Hazardous gases (TVOC), such as formaldehyde, benzene and gases, which are produced during renovation works, are also filtered. The particles remain suspended in the multi-porous surface of the activated carbon filter and can thus be reliably removed from the room air. The filters are installed one after the other in front of the engine housing in the device and can be easily removed again in the same way. HEPA and activated carbon filters are interchangeable and are replaced by new filters after 6 to 12 months, depending on their service life. They can be disposed of in normal household waste at any time. The Active Ion Technology was specially developed and patented by Luftmed. 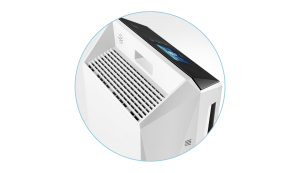 It supports the already existing physical filter system in the air cleaning devices with its intelligent ion ejection for clean and even more efficient air purification. The AIT module, which is responsible for the ion ejection, is connected to a highly sensitive particle sensor which continuously detects air quality in the interior. On the basis of the measurement, the AIT module closes and automatically initiates the ion concentration required for effective air purification. There are two possible concentrations: green with increased fine dust values ​​and blue with increased bacteria and viruses. These options are set automatically in Auto Mode or can be set manually on the display. The emitted ions bind any particles and pollutants such as pollen, fine dust and house dust, mold spores, bacteria and viruses. In this bond the ions “hang” on the pollutants; a chemical reaction is created, which initiates the sterilization process. The reactive ions remove hydrogen atoms from the cells of the particles and thereby cause the cleavage and inactivation of the pollutants. Thus, the particles can be more easily picked up and filtered through the physical cleaning system. This process is inspired from nature and imitates air quality and ion concentration in waterfalls, at sea or after a thunderstorm. No ozone is emitted as with other ion Technologies. You breathe absolutely fresh and clean air! 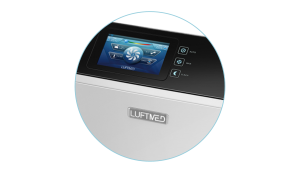 The Luftmed Deluxe 600 is equipped with intelligent and high-quality sensor technology to enable an optimal air purification adapted to the Environment. 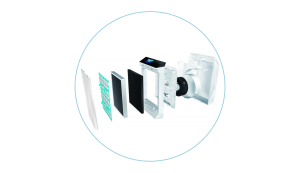 Four different sensors in the device, consisting of particle sensor, smell sensor, temperature sensor and humidity sensor, measure the indoor air quality in real time. The measured data are displayed on the display in addition to temperature and humidity by TVOC (toxic gases) and PM2.5 (fine dust) values. The CPU chip built into the device also processes the information transmitted by the sensors to achieve even more effective and intelligent air purification. 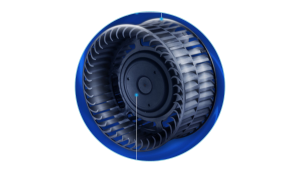 The unit automatically switches to the most efficient cleaning stage in Auto Mode, depending on the currently measured indoor air Quality. Another sensor measures the light sources in the room. The light sensor allows automatic switching to Sleep Mode when Auto Mode is switched on, as soon as there are no more light sources in the room. 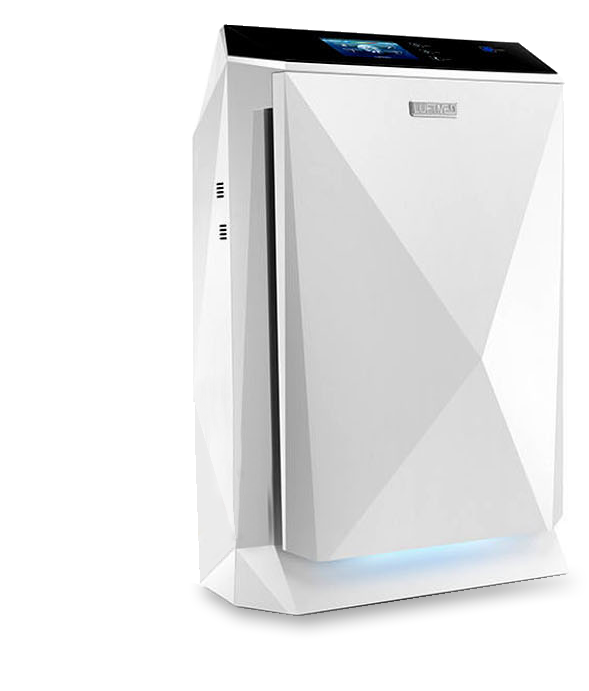 The adaptive and integrated touch screen of the Luftmed Deluxe 600 is the heart of the air purifier. Using the implemented function buttons, the device can be easily controlled and all important information can be viewed at a glance. Home: The air quality, consisting of the temperature and humidity display as well as a color scale, is displayed on the upper bar of the display. If the cleaning stage (stages 1 to 3) is to be changed, this can be achieved by one or more pushes on the fan button. All other functions can be achieved by pressing a button on the respective Buttons. Air Quality Indicator: The current air quality is once again illustrated by a precisely determined fine dust and gas value. Both values ​​are combined and show the currently measured air quality by means of a combined numerical and color scale. Filter Level Display: The filter level display uses a self-developed algorithm and calculates the remaining lifetime of the HEPA and activated carbon filter by means of the measured air quality and the operating time of the air purifier. Both values ​​are indicated by 100% downwards. AIT: By operating the AIT button on the start page, the desired ion concentration can be controlled out of demand. If the AIT button is green, an ion ejection that is specialized for fine dust filtration is generated. A blue AIT button initiates an ion ejection, which is intended for the filtration of organic substances such as viruses and bacteria. In Auto Mode, these functions cannot be controlled because the air purifier itself adjusts itself due to the measured air quality and initiates the necessary ion concentration. WiFi Connect: With WiFi Connect two functions can be operated simultaneously. By touching the button briefly, WiFi can be switched on or off as required. If the key is pressed for a longer time, the QR code page can be connected to the device. Child Lock: In the lower, left corner of the home page, the child safety system can be found. Pressing the lock button and pushing to the right will activate it. The touch screen function is deactivated and no buttons can be pressed any more. By the same process to the left, the function is released again and the child safety device is deactivated. 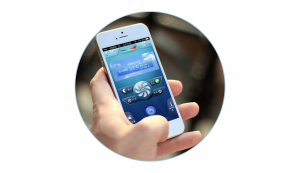 With the Luftmed App all information and functions displayed are transferred to the smartphone 1 to 1. Also, with the simple connection via WiFi the device can be controlled from anywhere at any time. Step 1: Connect your Luftmed Deluxe 600 to your WiFi and use the Luftmed App on your smartphone to scan the QR code displayed on the air purifier in the “Connect” field. Step 2: Your smartphone automatically connects to the air purifier when the wireless connection is successful and the QR code is scanned. Step 3: The device is ready to be controlled with the smartphone via the installed Luftmed App. 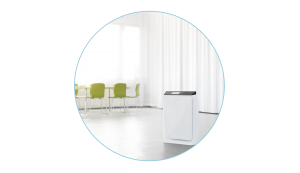 The Luftmed Deluxe 300 is equipped with intelligent and high-quality sensor technology to enable an optimal air purification adapted to the Environment. 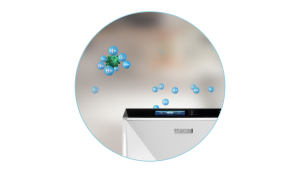 The adaptive and integrated touch screen of the Luftmed Deluxe 300 is the heart of the air purifier. Using the implemented function buttons, the device can be easily controlled and all important information can be viewed at a glance. With the Luftmed App all information and functions are transferred to the smartphone 1 to 1. Also, with the simple connection via WiFi the device can be controlled from anywhere at any time. Step 1: Connect your Luftmed Deluxe 300 to your WiFi and use the Luftmed App on your smartphone to scan the QR code displayed on the air purifier in the “Connect” field. The effective, multi-layered 3in1 filter system by Luftmed eliminates any harmful substances and particles from the interior air of the vehicle and thus guarantees efficient air purification. The pre-filter screen absorbs large dust particles, human and animal hair from the air. The macromolecule HEPA filter made out of polymer captures pollutants up to a size of 0.3 micrometer with a total efficiency of 99.95% from the air. These pollutants include fine dust and mites, pollen and allergens, mold spores, as well as micro-particles such as bacteria and viruses. The activated carbon filter consists of open-pore, fine-grained coal balls with a large inner surface. The filter material absorbs any odors such as tobacco smoke or pet odors. Hazardous gases (TVOC), such as formaldehyde, benzene, car exhaust gases and gases, which are generated in the office day, are also filtered. The particles remain suspended in the multi-pored surface of the activated carbon filter and can thus be reliably removed from the vehicle air. 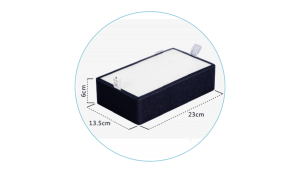 The filter package can be inserted through the top flap of the device and can also be easily removed again in the same way. It is interchangeable and is replaced by a new filter system depending on the operating time after 6 to 12 months. It can be disposed of in normal household waste at any time. The AIT module, which is responsible for the ion ejection, is connected to a highly sensitive particle sensor which continuously detects air quality in the interior. On the basis of the measurement, the AIT module closes and automatically initiates the ion concentration required for effective air purification. For the first efficient car air purifier Titan CV-T100, a brushless DC motor developed by Luftmed was used. The engine is combined with an innovative dual-boost technology consisting of a two-stage wind turbine. This allows the air volume to be cleaned more quickly and efficiently. The boost button on the unit also allows a 2 minute quick filtration of the interior air in the vehicle. Even 7-seat vehicles with an interior volume of 4m³ can be effectively cleaned of harmful substances in only 2 minutes. 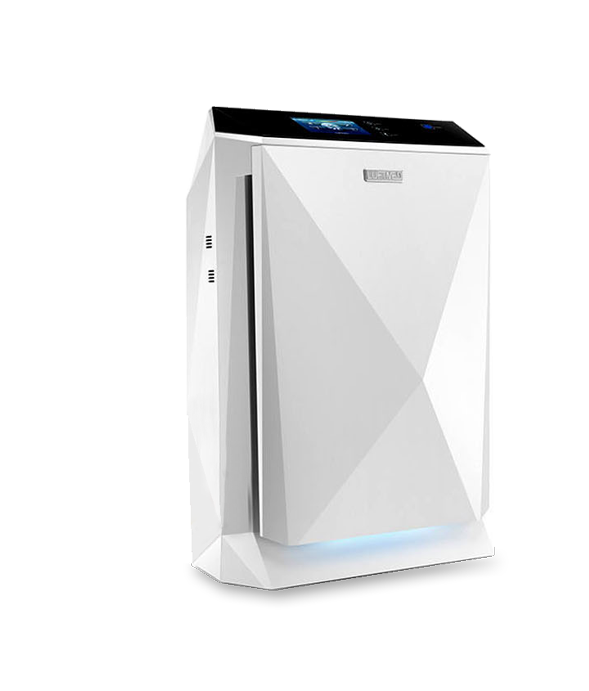 The Titan CV-T100 is equipped with an intelligent and high-quality sensor technology to enable an optimal air purification adapted to the environment. Whether in the car, in the office or on the road! Four different sensors in the device, consisting of particle sensor, CO2 sensor, temperature sensor and humidity sensor measure indoor air quality in real time. 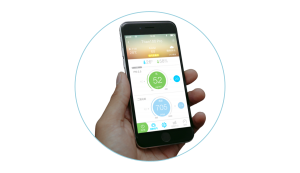 The measured data are displayed on the smartphone display, in addition to temperature and humidity, using CO2 (carbon dioxide) and PM2.5 (fine dust) values. The Sense Circle built on the device also shows the current air quality. The outer ring shows the determined fine dust value with the colors blue = “very good”, green = “good”, purple = “bad”, red = “very bad”. The inner ring is illustrated with the colors white = “good”, green = “satisfactory”, red = “very bad” the currently measured CO2 values. The CPU chip built into the device also processes the information transmitted by the sensors to achieve even more effective and intelligent air purification. 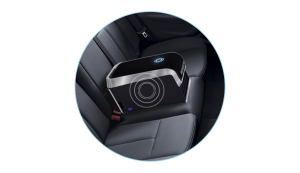 The unit automatically switches to the most efficient cleaning stage in Auto Mode, out of the currently measured air quality in the vehicle interior. The Titan CV-T100 is controlled by its specially developed Luftmed App with Bluetooth 4.0. All measured data is transferred to the smartphone in real time and the device can be controlled at any time with the simple connection via Bluetooth 4.0. Step 1: Connect your Titanium CV-T100 and your smartphone via Bluetooth 4.0. Step 2: Your smartphone connects with a successful Bluetooth connection automatically with the air purifier.